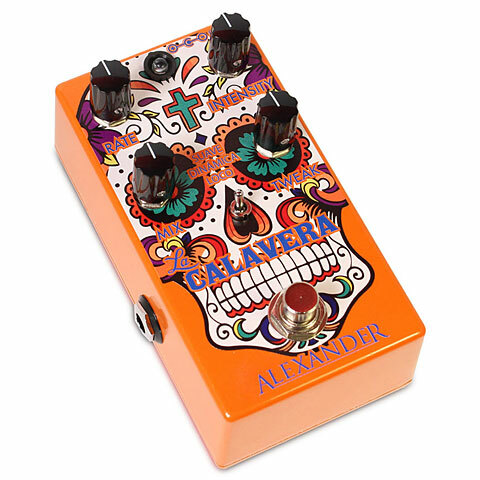 No, it doesn't come from Mexico as the Pedal graphics may imply. 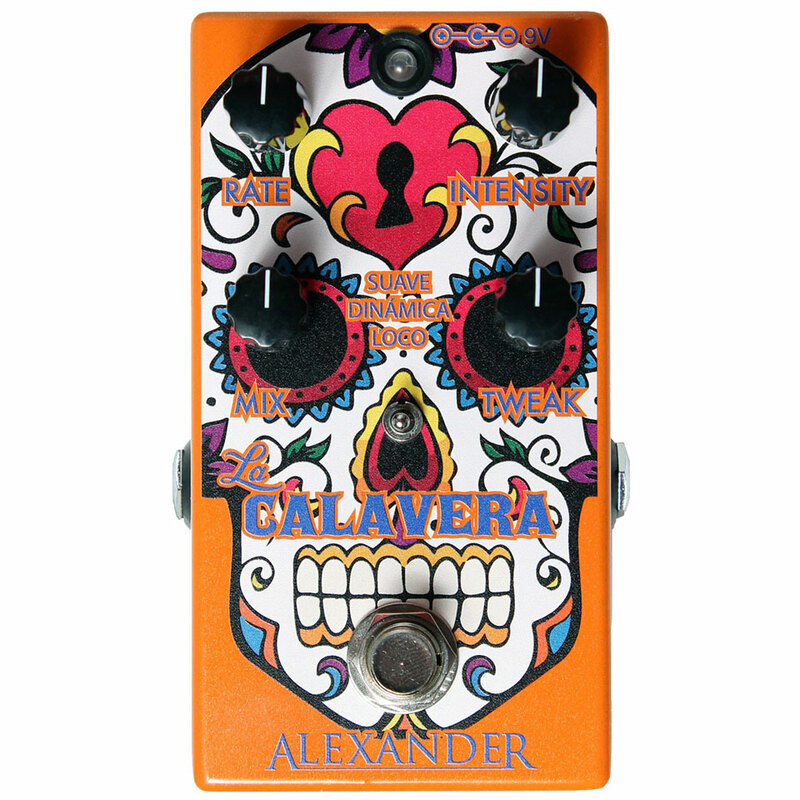 Alexander pedals have their home in the United States. 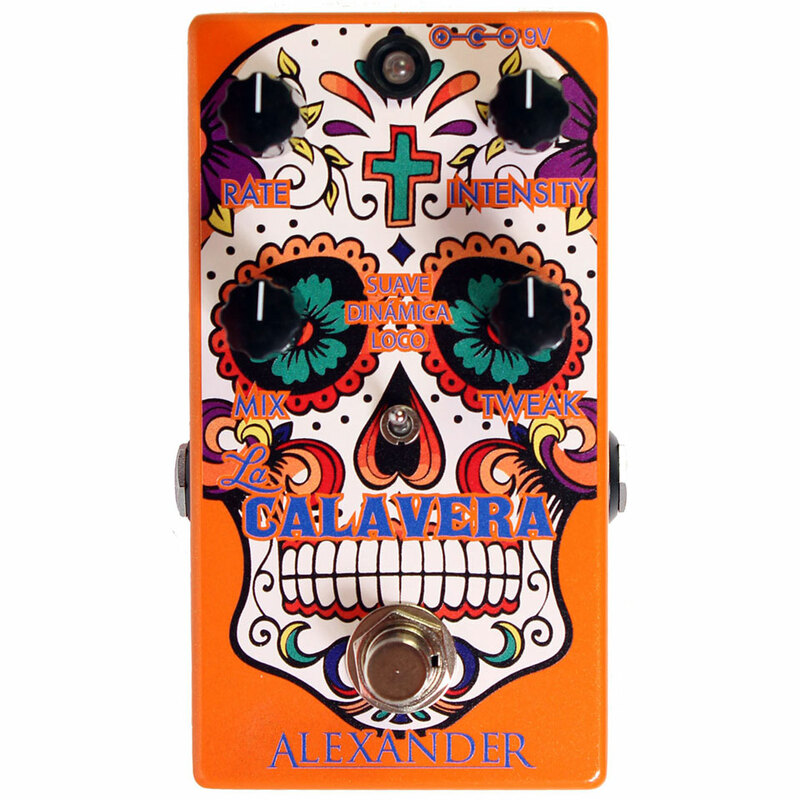 The La Calavera pedal is a 10 stage phaser with very unusual sound possibilities. 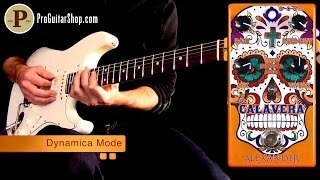 There are 3 modes available: Suave - a very intense 10 Stage Phaser with soft intensive basic sound, Dinamica - the Phaser effect can be controlled by the velocity, with heavy attack the modulation running slowly and accelerates the decay of the strings and the cool Loco Fashion - the Phaser combined with a ring modulator, makes very original and partly strange sounds. A funky Phaser Pedal which pleasantly sets itself away from the rest. Purchased this phaser from the UK. If you're after a standard phaser that has the capabilities to do much more, this is a great choice. Delivery was swift and it's a really good price! · Show all articles of the brand Alexander.